“Alice’s Adventures Underground was the original name given by Lewis Carroll to the story, later on it became Alice’s Hour in Elfland. At the time Lewis Carroll promised to write out Alice for Miss Liddell he had no idea of publication, but his close friend, Mr. George MacDonald, to whom he had shown the manuscript, persuaded him to submit it to a publisher. The publisher agreed to bring forth the books and on June 18th, 1864 the title as we know it today was decided upon. 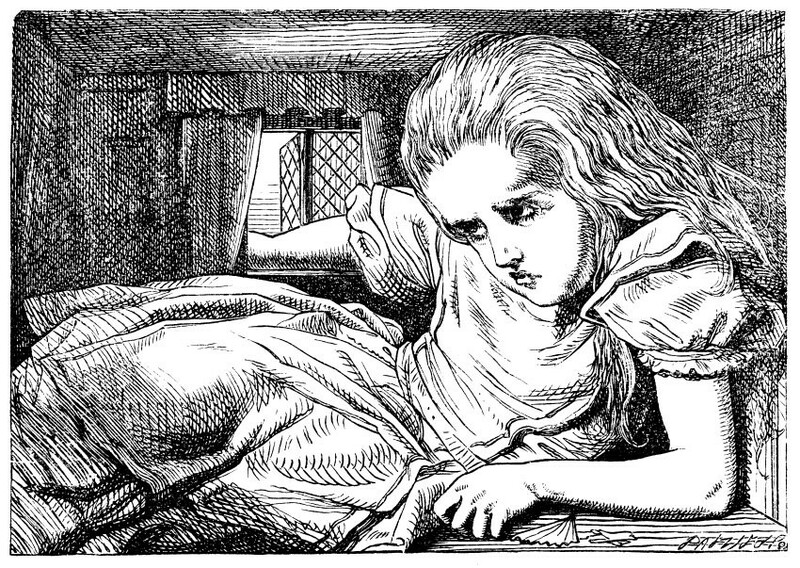 Tom Taylor, dramatist friend of Carroll, advised him to contact John Tenniel with regard to doing the illustrations. This excellent advice was heeded, and on April 5th, 1864, arrangements between John Tenniel and Lewis Carroll were made” (Wilson, 1937, p. 2). 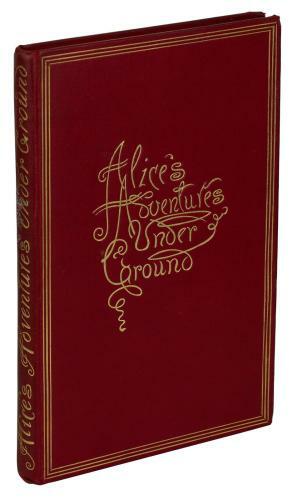 An edition you may not know is Alice's Adventures Under Ground. Being a Facsimile of the Original MS Book. Afterwards Developed into "Alice's Adventures in Wonderland. With 37 Illustrations by the Author." By [Dodgson, Charles, L.] :Carroll, Lewis. Pseud. SDSU Library's Edward Gorey Personal Library has a copy of this edition for researchers to examine. Wilson also writes about an Alice association piece that is Alice in Wonderland transcribed into Gregg Shorthand by Georgie Gregg and published by Gregg Publishing Company (N.D.) at 154 pages in length. For more information on Lewis Carroll, check out The Lewis Carroll Society. From Newspaper Article to Picture Book. Armando and the Blue Tarp School by Edith Hope Fine, Judith Pinkerton Josephson. Hernan Sosa, illus. Lee & Low Books. The Clara Breed Historical Children's Collection at San Diego State University. A bibliography of books in the collection. The Juvenile Collection Move --Same Place, Better Organization! Pointing to the moon. Catching up with picture book author and SDSU alum Cindy Jenson-Elliott. Don and Lydia Freeman Added Illustrations in Beady Bear, Pet of the Met, and Chuggy the Blue Caboose. Chris Riddell and letterpress texture in The Sleeper and the Spindle (2015).